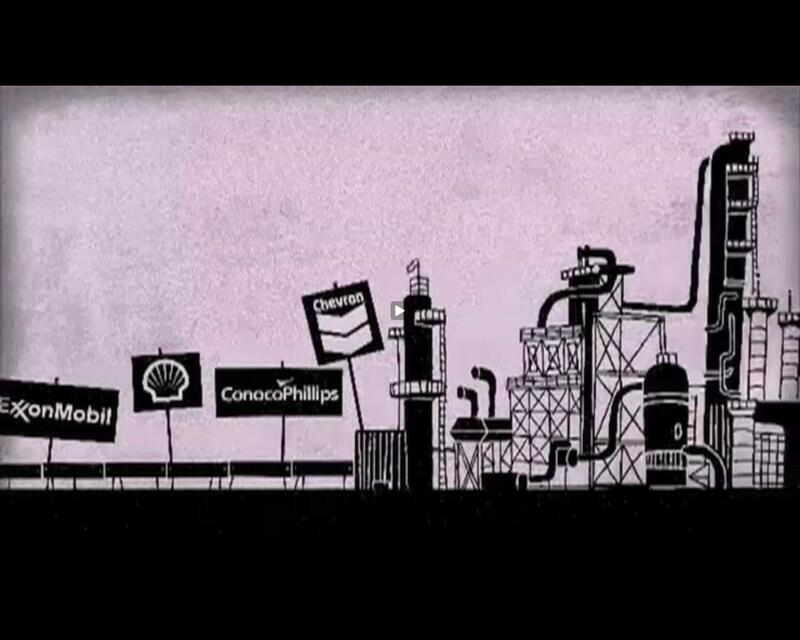 The Center for Investigative Reporting (CIR) created a short video explaining the true costs of our oil dependency by following a single gallon of gasoline refined and consumed in California. According to the video, this single gallon of gasoline emits 25 pounds of greenhouse gas emissions and a single driver in the United States creates about 10,000 pounds of greenhouse gas emissions every year. In order to absorb this pollution, each driver would need an acre of forest. To absorb the pollution generated by all of the drivers in the U.S., we would need a forest the size of California, Nevada and Arizona combined. To calculate the amount of pollution generated from gasoline, CIR considered every step in the consumption process, including the extraction of crude oil from the ground and the evaporation of toxic chemicals, like benzene, when you undo the gas cap or lift the nozzle. After accounting for all of the costs of gasoline use, the CIR suggests that the actual price should be closer to $15. This price, however, does not reflect the cost of externalities, like oil spills, water pollution and reduced crop yields, in addition to increased rates of asthma and respiratory diseases caused by air pollution. This is why the Environmental Protection Agency is arguing to reduce toxic chemicals in gasoline, which would make it even more expensive to fill up your tank. But, the EPA argues, the public health and environmental benefits of the Clean Air Act of 1990 far outweigh the costs by a margin of four to one. Other countries, working to bear the cost of gasoline use, enact “eco taxes” to direct funding toward social programs and renewable energy. Germany, for example, charges about $1 per gallon as an eco tax in order to fund these programs. Germans pay more than $8 a gallon for gasoline and in Netherlands, gasoline is close to $9. Here is a chart of gasoline prices from around the world by GOOD magazine. Here is another chart by The Economist showing the change of fuel prices in the last two years. What many nations realize, GOOD explains, is that oil is a finite resource, and they are utilizing gasoline taxes to reduce oil imports, create more efficient transportation systems, and better prepare for longer-term oil price volatility. And at $4 per gallon of gasoline, we haven’t even started to address the true costs of gasoline. How Much Money Does Public Transportation Save?